You guys, the official start of spring is SO soon, and we’re kicking off our 2019 wedding season in the very near future... we cannot wait! We're still in LOVE with this gorgeous spring styled shoot and we can’t wait for alllll the pretty spring vibes that are just around the corner. This is still one of my favorite styled shoots our team has ever done... the details were so dreamy! If you've seen the sneak peeks of our Magical Meadow shoot on Facebook, Instagram or Pinterest, you already know how gorgeous it was. (Sorry y'all, but it's just too pretty, and we have no choice but to blow up the internet with it!) I'm beyond excited to share even more photos from this shoot with you today! This shoot was, as the name suggests, pure magic. The photos, by Stephanie Dawn Photography, are incredibly dreamy and so, so gorgeous. Our team worked with several fabulous vendors to make this shoot happen! We have the best vendors. They are so talented, and such great people! "This shoot was required in order for me to graduate," Trish said. "I just recently completed my internship through the hospitality administration at Arkansas Tech. One of the internship requirements was to complete a special project. I chose to do a photoshoot and it couldn't have turned out any better!" Trish said she knew she wanted to use black lace before she chose the other details. "I wanted this shoot to have a natural look, but also display a sense of class and elegance," she said. "I fell in love with the idea of using a black lace topper! Once I decided to use black lace, everything else began to fall into place. I felt like the lace gave the shoot that touch of elegance while still keeping with a natural boho look." I love this combination of elegance plus natural/bohemian! It's unreal how gorgeous this is! Some of the most beautiful details from this shoot? Those flowers, hands down. A gorgeous, enormous peony bouquet, plus all the small floral arrangements. Did you notice the flowers on the lanterns? Swoon!!! The flowers were all arranged by our floral designer, Ginger. She always does the best job! Another fabulous detail was this custom gown. Our team took a bridal gown from Formal Affairs and customized it with this pastel floral fabric. It's amazing! All of the gowns were beautiful! No shoot is complete without a fancy, delicious, stunning dessert table, right?! TheCakePlace is one of our favorite vendors, and I think you can see why! Everything they make is beautiful... and it always tastes just as good (maybe better?!) than it looks. Another highlight from this shoot: the drink table! Drinks are good, but pretty drinks are better. Trish garnished these drinks with berries, arrows and little tiny signs. The reception table was also stunning! I can't say enough how much I love this combination of classic elegance and a bohemian vibe. The black lace, lanterns and china combined with the lush, natural flowers... LOVE. Finally, I asked Trish if she had anything else she wanted to say about this shoot, and here's what she said: "I want to say thank you to Stephanie, our photographer and our models, Logan and Cecelia. They were all troopers! And Manda Standridge, no one can compare to her hair and makeup skills! And especially Lesleigh and Ginger. I couldn't have done it without them!" Happy (almost) Valentine's Day! Several years ago, The Barn Team put together two gorgeous, inspiring, colorful, super fun Valentine's-themed styled shoots. The details from these shoots were incredible. There were cakes (and mini cakes! ), stunning floral arrangements, painted pallets, sodas with cute straws, beautiful stationery, bright and colorful streamer backdrops, two AMAZING gowns, a groom covered in lipstick kisses, sweet place settings and about a million other fun things. There were lots of patterns, textures and colors (shades of pink, red, orange and yellow). You may even recognize the models for these shoots, Emily + Casey, from the glitz & glam Aztec-inspired wedding! We worked with some of the most talented vendors on this shoot, and it's definitely one of our best ones to date. This painted pallet. This cake! Too much pretty. Emily's hair for this shoot was AMAZING! Look. At. Those. Eye. Lashes!!!! My goodness. I'm CRAZY for that pink dress! Soooo beautiful! This place setting is just so pretty. Those colors! THAT DRESS!!! Major heart eyes. This was actually customized by The Barn, and it sure is great. It was recently purchased, and we'd love to see a photo of the bride who wore it! Our rustic bouquet and floral arrangements at this shoot were stunning. They even incorporated fruit (pomegranates and oranges! ), which is always an unexpected, yet beautiful element. Did I mention how fabulous the cakes were at these shoots?! Holy smokes. Ahhh, the famous streamer backdrop! This thing has taken Pinterest by storm. We LOVE it. Emily's hair was just one more AHHH-MAAAZING detail! Baby cakes are ALWAYS a good idea. How cute are these?! You can see even more photos from these shoots right here. I hope y'all have a great Valentine's Day/Singles Awareness Day/Galentine's Day/whatever you're celebrating this weekend. ;) I hope you feel loved and get lots of chocolate! We did this pirate-chic styled shoot with Formal Affairs and Melissa McCrotty two years ago, and we’re still in love with it. The details were incredible, the gowns were arrrr-mazing (see what I did there?! ), the models were GORGEOUS... Seriously, one of the most beautiful, creative shoots EVER. Melissa's senior models were a huge part of the shoot, and they wore the most gorgeous formal dresses from Formal Affairs, one of our favorite vendors. One of our favorite parts of the shoot was the Pirate Bride portion. The shoot was styled by Lesleigh Smith, the founder and creative director at The Barn, and she said her inspiration for this portion of the shoot was "as if Jack Sparrow had a bride." Our Pirate Bride was on a pretty little rustic chic pirate ship, which was decked out with gorgeous florals, a gold candelabra and an old whiskey barrel. She wore a pirate chic bridal gown (that is totally a thing! ), pirate booty (aka jewelry), and the most gorgeous headpiece. And our team couldn't have pulled it off without the most talented vendors around! Each fall, our team puts together a fabulous, over the top styled shoot, and it's one of the things we look forward to most each year! A ton of time and effort goes into planning every specific detail. Each shoot is unique, super detailed, and amazing! We always team up with the best of the best vendors around to create something amazing, and not to brag or anything, but our styled shoots usually break the internet! A few years ago, we got to be a part of the Legado: Wedding Collective shoot, and we are STILL swooning over all the prettiness. It was glamorous and elegant, with so many delicious details! The gowns, the florals, the garlands, the dark, rich colors paired with gold accents, the models (so many gorgeous people in this shoot), the tablescapes, the donuts (yep! ), those floral necklaces (omg!)... every detail was STUNNING! We worked with some extremely talented vendors on this shoot, including a videographer, which we hadn't done on a styled shoot before! The video really shows off all the details, and it is just TOO MUCH. This shoot was so, sooo good! We can't WAIT for colorful, crunchy leaves, boots and flannel weather, and chilly nights out at The Barn! 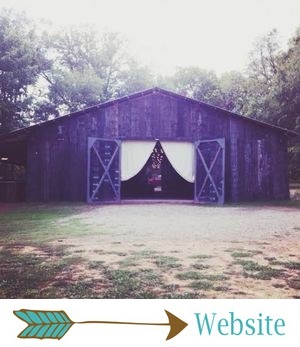 This styled shoot was The Barn's very first, and it's still one of our most popular! I post this shoot every fall, so it's kind of become a tradition... If you've been following us for very long, you've probably seen it before! :) Every single rustic detail from this shoot was soooo pretty! We can’t even believe this was SEVEN years ago! OMG! I don't know about in your neck of the woods, but in Arkansas, we are beginning to see the first signs of fall. The leaves are beginning to change, there is a crispness in the air (but then the next day, it's like 90 degrees... #ArkansasProblems), and every girl in front of me in the Starbucks line just ordered a pumpkin spice latte. Here are some photos from our Fall 2011 Photo Shoot, before The Barn had even been built. Things have changed so much since then, but one thing remains the same: fall at The Barn at Twin Oaks Ranch just can't be beat. Nothing says fall like a bride in plaid! That puppy! Be still, my heart. Pie is the perfect dessert or favor for fall weddings! See what I mean?! Fall at The Barn is the absolute best. And there it is, y'all... the first ever photo shoot at The Barn! Come back here tomorrow to see another one of our 2012 weddings. Y'all won't want to miss this one!